Ahhh…. the Île de Ré is a special place. It’s a good example of what happens to a place where you control the amount of development very strictly: you end up with somewhere irresistible that people want to come to again and again. 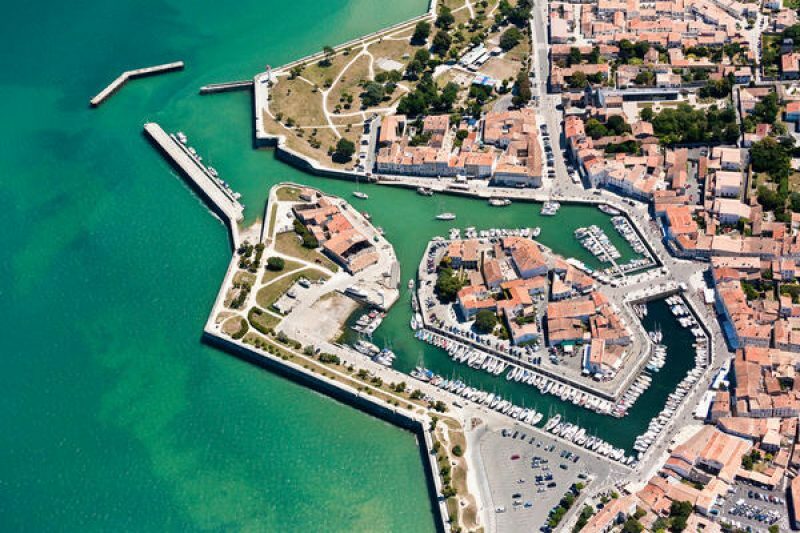 Blessed with its own micro-climate and located just offshore from La Rochelle, the island is connected to the mainland via a bridge. Accommodation comes at a premium in summer, so if you’re staying in La Rochelle, a trip in one of the free yellow bikes is something that you should really do. There is a market at chic St-Martin de Ré. Right beside the port from where the famous Papillon set sail, the market in Les Halles spills onto the streets with a hall that’s bursting with every kind of seafood imaginable under the sun. Taking place daily (except Saturday) from 07:00 to 13:00, it’s a feature not to be missed. Over in the more unfortunately named Ars-en-Ré, there’s a very lively summer market scene: All through July and August, there’s a market on Place de l’Eglise from 08:00 to 13:00 every day selling predominately foodstuffs and some clothing in the open air. On the port, there is another one that runs from June to September. It’s a daily event but weather-dependent and selling similar produce. Apart from that, there are a number of seasonal markets throughout the low-lying island, the pick of which is probably the open-air one at the Place de l’Eglise in Couarde-sur-Mer, for its great range of artisanal food and craft products (daily in the summer from 08:00 to 13:00).